This wonderful Bucket Bag is a best seller! 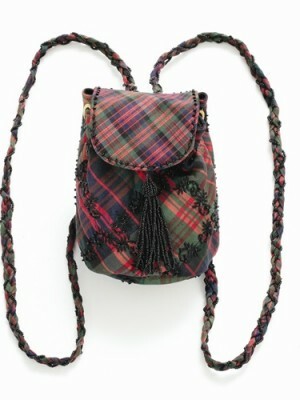 How can you help but be enchanted by this gorgeous little Silk Tartan Bucket Bag? 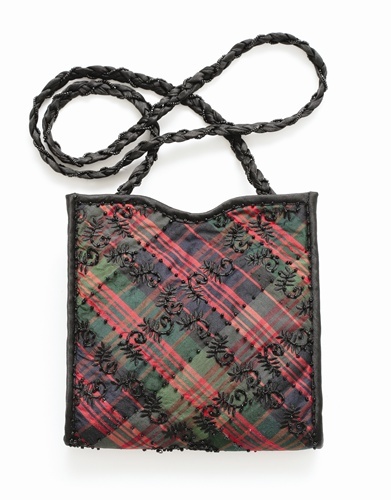 It really is stunning, made with fine silk tartan and embroidered with fine black thread. 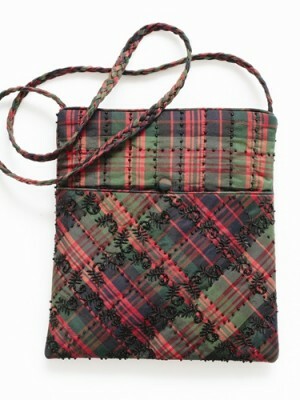 This bag has a pleated shoulder strap making it very practical. It will add a touch of Scottish class to any outfit effortlessly.